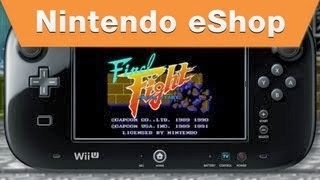 Final Fight 1, 2 and 3 have landed on the Wii U Nintendo eShop. Watch the official trailers for each game inside. Nintendo has released the official trailers for the Wii U eShop versions of Final Fight 1, 2 and 3. These classic Capcom titles are now available on the Wii U and can be played on the TV or the gamepad.